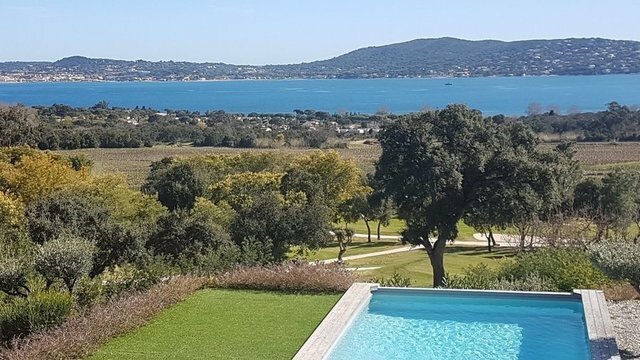 Situated in a dominant position in a private estate, without vis à vis, in absolute calm, on the edge of the Golf de Bauvallon, this recent villa needs to finished inside. It offers generous volumes, a breathtaking view of the sea and the Gulf of Saint-Tropez. This villa leaves you the choice of your interior layout at your own expense. Unique location and exceptional living environment.